Compared to other monitoring methods (such as EPA Method 9 and 22, differential pressure monitoring and opacity meters) triboelectric monitoring can provide the most accurate, real time emissions data possible. Further, for the vast majority of applications triboelectric detectors will not require any periodic calibration, rebuilds, or even cleaning, in order to stay functioning at peak efficiencies. Many systems can provide software for reporting, or easily integrate with your own data management system so that historical data is readily available and automatically recorded. With such accurate and reliable data, compliance personnel can spend less time worrying about the integrity of their figures, and less time tediously copying clipboard data from spreadsheet to spreadsheet to make their monthly reports. This is a classic opportunity to improve a process - simultaneously reducing wasted time and the potential of errors in cutting/pasting and transcribing data. Operators and production personnel are primarily concerned with operating at peak production levels while maintaining quality control. Triboelectric dust collector monitoring allows them to dynamically track dust collector operation indicators that surface long before problems arise that could affect production levels or quality. Examples of problems which can be proactively detected include deteriorating filter condition, high differential pressure leading to loss of suction or flow, or declining conveying velocity within the duct work which could lead to dropouts. Among the many benefits tribo monitoring provides maintenance personnel, the ability to quickly locate leaking filters takes 1st place according to our customers. On larger systems that may have multiple compartments and rows and rows of filters, the ability to pinpoint even a single leaking filter down to a specific unit, compartment and even row of filters can save a significant amount of man hours. Further, the ability to detect a leak at the earliest stages means quicker corrective action that prevents the problem from becoming a serious issue which requires unplanned shutdowns, extensive remediation and damage to nearby bags. When your detector is coupled with baghouse maintenance controls, defective solenoids and diaphragms can be located at a glance, reducing downtime and labor resources. The investment will pay for itself. 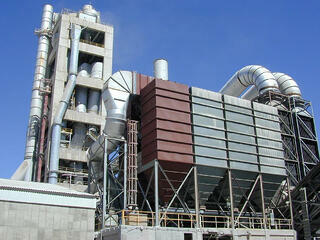 One challenge for maintenance planners is trying to anticipate when dust collector filters will need to be replaced. Trying to balance the competing interests of stretching filters to their maximum service life (to save money) and not exceeding useful service (point where filters either cause performance issues or exceed maximum permissible emissions levels) is no small task. Often facilities are resigned to simply scheduling regular PM schedules, foregoing possible savings. With a TRIBO.dsp series monitoring system the plant can accurately predict when the filters will reach the end of their useful service life and need to be replaced by examining the trending emissions data combined with the unit’s differential pressure readings. This gives the plant the assurance it needs to extend the period between PM's by knowing that your dust collector system is still performing efficiently. Some plants still have some apprehension about making the investment in triboelectric dust monitoring technology and instead choose to continue with the same monitoring methods they have used for decades. However, as we have seen, the switch to continuous monitoring with fabric filter leak detectors brings with it benefits for the facility. Truly, an investment in an Auburn Systems TRIBO.dsp series monitor is not one that you will regret!